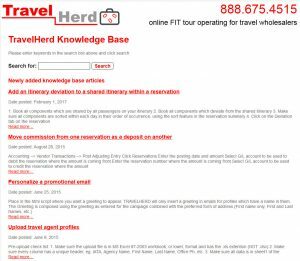 A powerful online tool to answer TravelHerd users’ questions while working within the application, the TravelHerd Online Knowledge Base, is a click away. TravelHerd users have a powerful online tool to assist them with questions while using application, the TravelHerd Online Knowledge Base, which is powered by the WordPress for fast and easy searching. Users may access the TravelHerd Online Knowledge Base whilst working within the TravelHerd application, thus maintaining productivity and continuity. 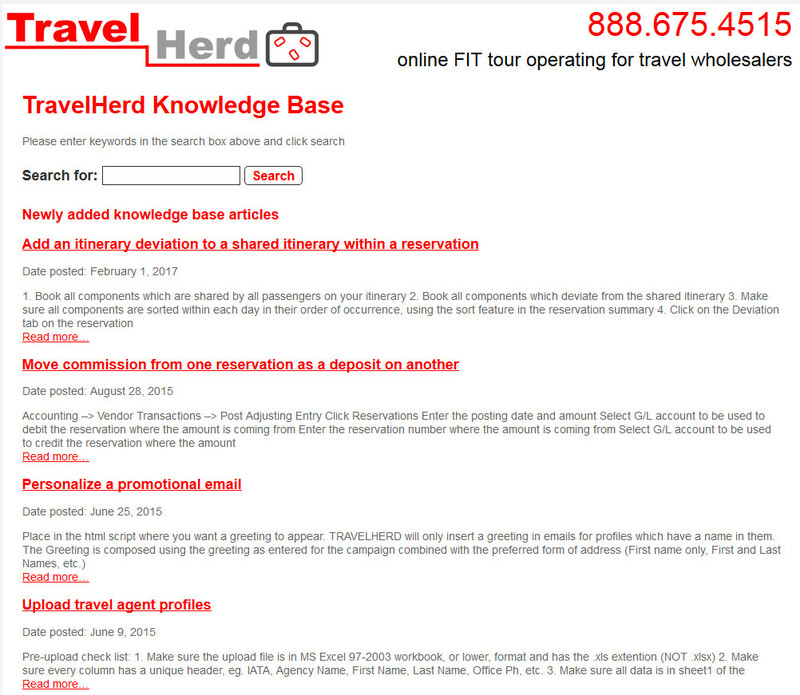 The TravelHerd Online Knowledge Base has searchable topics applicable to employees day-to-day use of the TravelHerd application. The Online Knowledge Base covers many areas of responsibility including Reservations, Database, Sales and Marketing and Accounting, to name a few. Users have commented that they find the Knowledge Base particularly convenient as a “memory-refresher” assisting them while they perform TravelHerd functions outside of their day-to-day responsibilities. Many clients find the TravelHerd Online Knowledge Base to be a helpful assistant when the training new employees and cross-training current employees on the TravelHerd application. They find that the Online Knowledge Base’s ease of access is a functional method to answer many common, and some not-too-common, questions which employees may have during their training. Using the Online Knowledge Base does not require the intervention of supervisory and training personnel; it is available to every TravelHerd user.